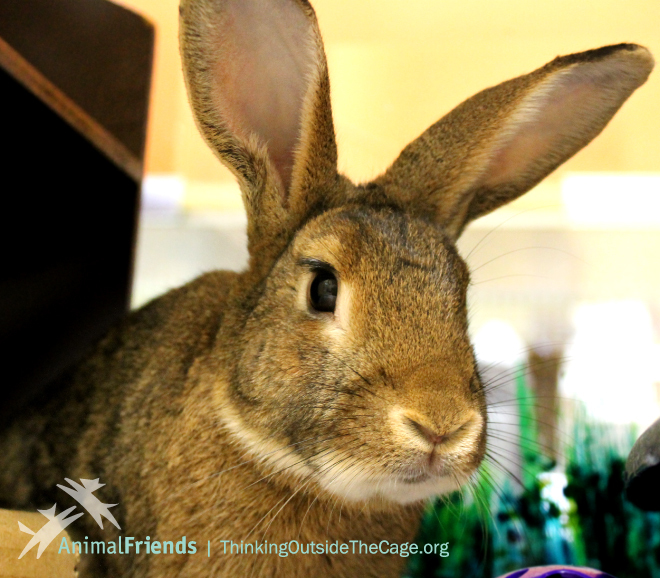 Leelo is a sweet American rabbit who is looking for a loving home. He came to Animal Friends after being with the same family from the time he was just a kit. Although he was loved and cared for, he wasn’t getting the exercise or social interaction that is so important for rabbits. This gentle boy needs time to warm up to new people and environments, but once he’s comfortable, he is friendly and welcomes the company of his friends. If you have a patient home and a lot of love to give, Leelo could be the one for you!